Irma is a very experienced chartered neuro-physiotherapist who has over 25 years of experience working with people with often complex physical disabilities. She enjoys helping riders of all abilities find ways of moving which are effective and requiring the least amount of effort on and off the horse. Through her hippotherapy skills (physiotherapy on horseback) she is very aware of how the horse can assist in this process and how to best access this. Irma is available for one to one physiotherapy sessions and Equipilates™ group sessions to help you reach your riding goals which could range from comfort on the horse, improve your harmony with the horse to enhancing the performance of you and the horse. 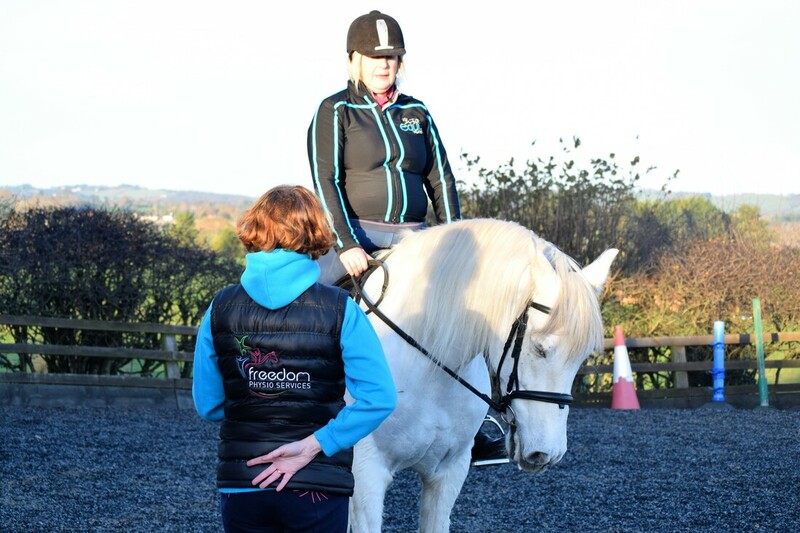 The physiotherapy clinic is based at Stourbridge, West Midlands, but she also does home visits or visit riders at their local yard or RDA centre. She is willing to work as part of a case management team. Please contact Irma to discuss your requirements.